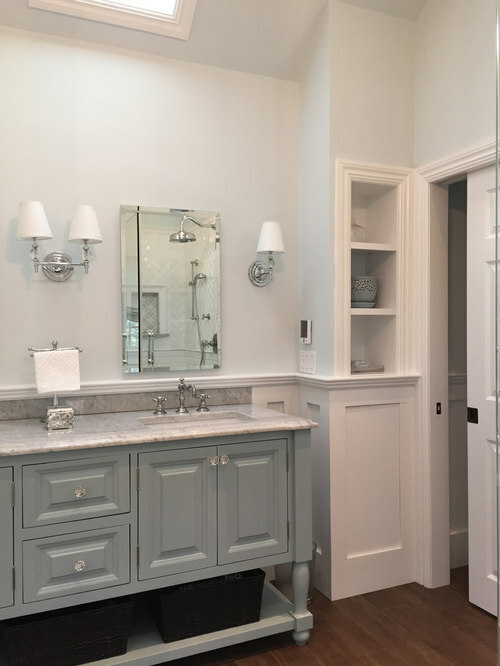 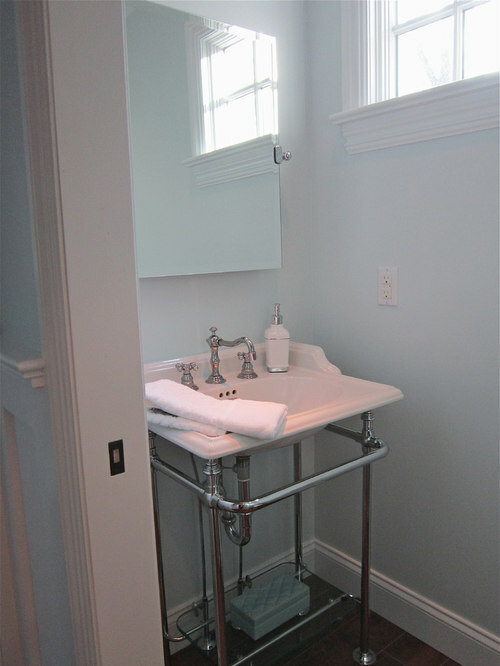 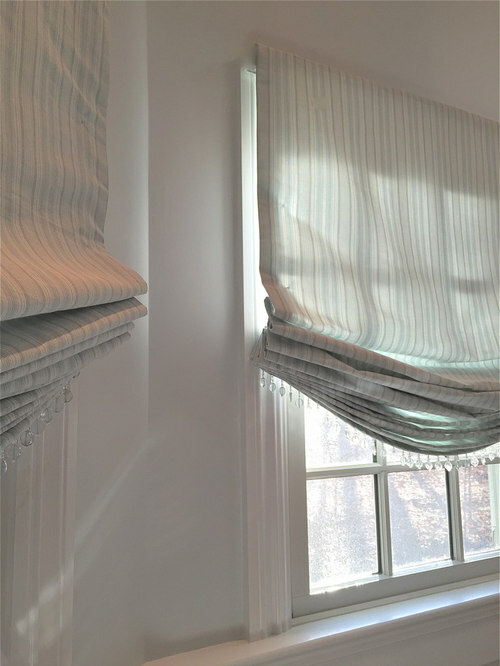 This was a total renovation of a Master Bathroom in Morris County, NJ. 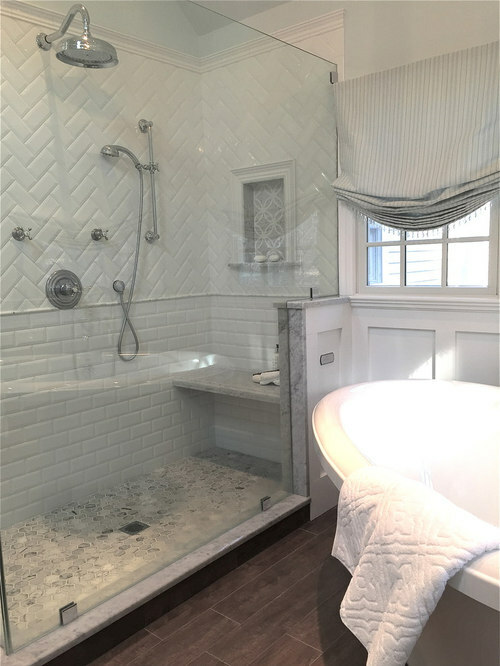 A dated Jacuzzi tub was removed and replaced with a soaking tub and large walk-in shower. 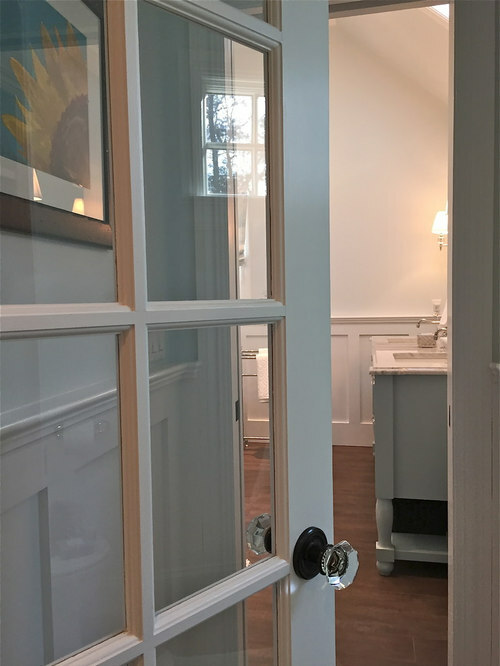 The toilet was taken out of the main bathroom and a small toilet room with sink and a window was added down the hall by moving some walls and using the space efficiently. 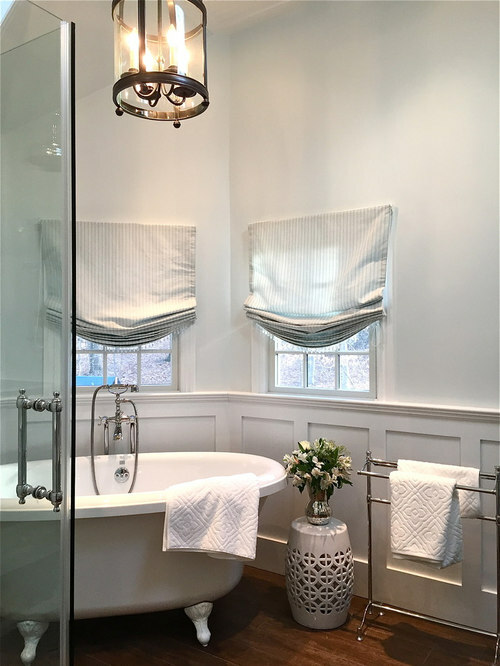 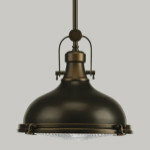 The existing ceiling was sloped and beadboard was added to give a coastal beachy feel. 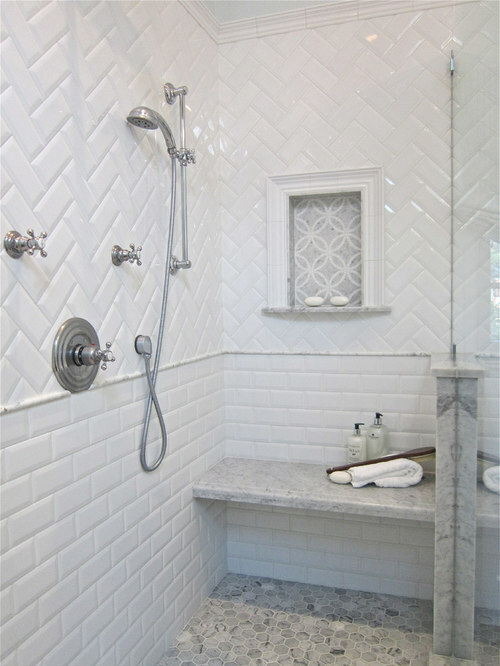 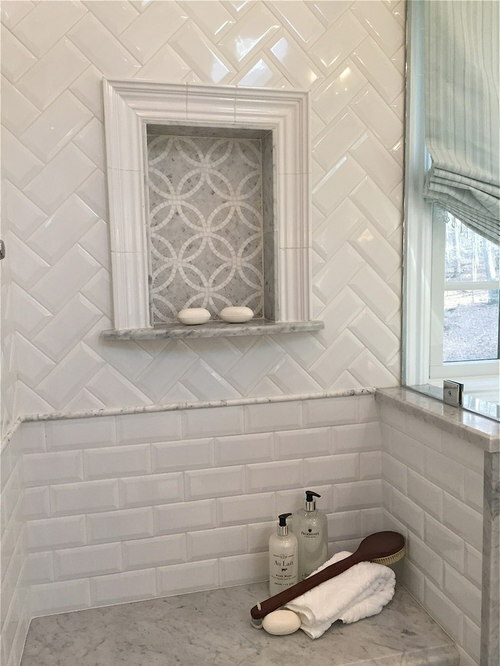 A combination of white subway tile in a herringbone pattern and marble tile for the floor and niche were used.